I think Clapham Junction is in terminal chaos at the moment? We are down for BH weekend for a birthday and we have had to vary our route rather than go there. For those with travelcards or freedom passes that include zone 6, you can normally buy a ticket from Boundary Zone 6 to Gatwick or v.v. – one way or day return. In our case, it effectively means buying a ticket from Coulsdon South. Well timed article, thanks. I’m off to LGW next month and was looking at options the other day. Depending on what I do between arriving at Euston and setting off for the airport, I may take the Farringdon train, as it saves getting on and off the tube. I have both Oyster and contactless, but vaguely remembered something about having to tap in and out at intervening stations. Clearly no longer the case. Oh ?!? That’s useful to know – thanks for the tip Anika. Isn’t that for those who are ticketed flyers? Aah… see where I went wrong. Thanks Genghis. the one to Earls Court gets booked up very easily (it’s small) – especially when there are planned engineering works. worth pointing out that with the peak hours starting at 4pm – you just need to be through the ticket barriers beforehand to make your saving … so if your train departs soon after 4pm, you can save a decent chunk by getting through the barrier a little early ! Is it when you are through the barriers of when the train leaves? 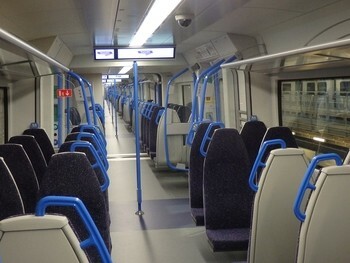 So you can get a train after 4 if you are through the barriers?? Aware I’m a day late commenting on this, but really worth noting that if you’re in the regions, there are good ticket prices that include Gatwick Express. Not sure how that breaks down, but very happy to travel the distance across the country for that. Certainly cheaper than airport parking! Thanks Rob, my wife is travelling from Gatwick today and I knew you would have some sort of article on this! The contactless payment card for non-gatwick express trains from Victoria is a great shout! 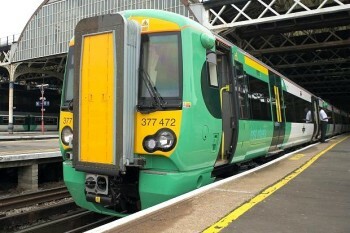 I got cheap advance tickets (the 8.50 price you mentioned) from Victoria to Brighton and was planning on jumping off at Gatwick – do you know if there are any issues with that? Will the ticket barriers work as I’m getting off earlier than the destination? IIRC you can’t break your journey on advance tickets and so officially it’s not allowed. Whether the barriers will let you through, however, is another story. 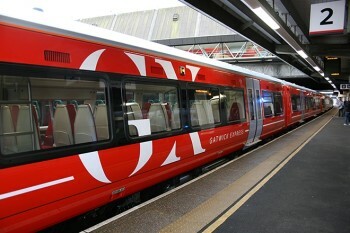 Just to check- how does the contactless barrier know if you are going to use Gatwick Express or Southern if you board at Gatwick? There are no exclusive barriers as there are at Victoria. Presumably you will simply get charged at the higher fare?